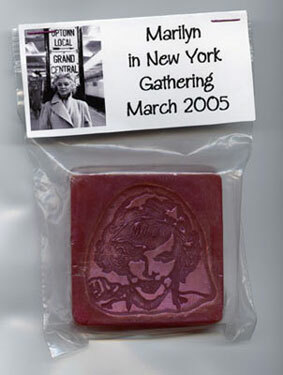 I have always wanted to visit New York City and when the opportunity arose to meet up with some Marilyn fans there in March I decided it was time to go. My girlfriends Annette, Janine, Janet and my mom Sam decided to come with me. So I organized a whirlwind New York trip for us based on what the Marilyn group had planned to do (Thanks to Eric for all his hard work planning the events). We were scheduled to fly out of Toronto at 10:05am but once we arrived at the airport we found out that our flight was delayed for 4 HOURS!!! It is only a 1 hour flight for heaven's sake!! We were not impressed. That really screwed with our plans and made the trip that much shorter. We ended up arriving at LGA airport at 3:20pm. 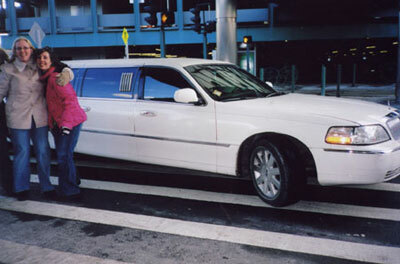 I had arranged a limo with Carmel to pick us up at the airport (inside). I assumed that they would be following the flight delay and be waiting for us when we arrived. 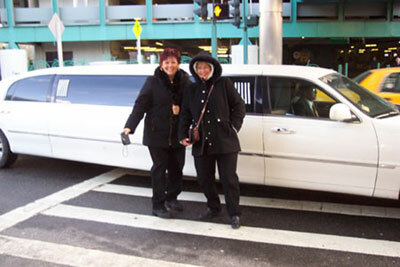 I had to call them and we met the limo outside. 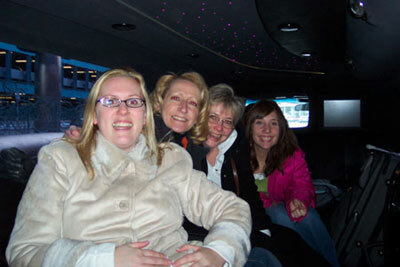 Then the limo guy had no idea where he was going he started driving us to NEW JERSEY!! Grrrr...we finally got to the hotel at 5:30pm. We stayed at the Radio City Apartments (www.radiocityapartments.com) and I highly recommend it. It isn't fancy by any means but it was clean and CHEAP and the location can not be beat. It is located in easy walking distance of the major attractions, we walked everywhere. We had a 2 bedroom suite complete with a kitchenette. The fridge was a bonus and let us enjoy happy hour in our room :) The only downside was the slow elevators, ask for a low floor so you can take the stairs. We met up with my Marilyn friends and went to dinner at Planet Hollywood. 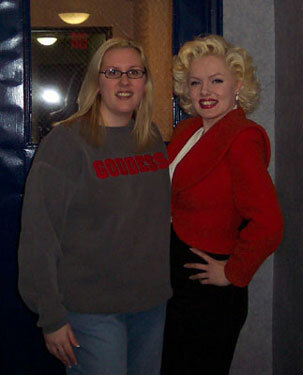 This was my first time meeting Marilyn impersonator Suzie Kennedy. I was totally impressed by her! After dinner we walked back to the hotel (past the Earth Cam - see the photo below!!). It was an early night for us but I had been up since 5 am!!! 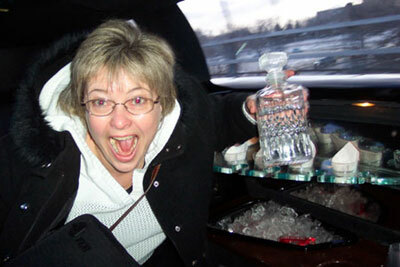 Janet's first time in a limo!! Isn't her Niagara outfit gorgeous!!!!! 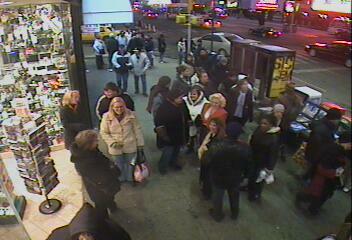 I'm thankful that someone caught us on the Earth Cam! Betsy made these awesome soaps and gave them out at the Planet Hollywood dinner!